When you think about it, fencing is used in many ways. 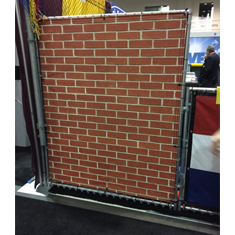 Here are a few ideas where New Trend Fencing, can become your best friend, to keep your retail space or home safe and secure. Most public buildings and fields, that have a high population of children, has a fence because safety is the key! 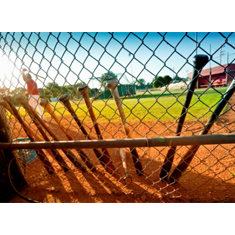 At New Trend, we specialize in offering chainlink fences for all of your enclosure needs, such as baseball backstops, tennis court enclosures, privacy screens, school yards and playgrounds. Due to our large farming community in Ontario, New Trend Fencing is one of the leading distributors in farm fencing. 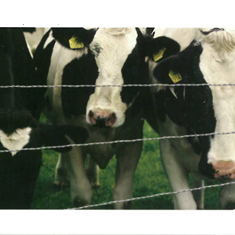 Our fencing comes, guaranteed to keep the livestock in, with a variety of styles and size options. Wildlife fencing provides the security in knowing that wildlife is safe in their habitat. 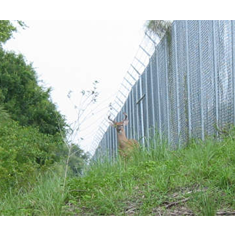 To keep those animals, big or small from danger, New Trend Fencing provides wildlife fencing for highways, national parks, and conservation areas. Contact our sales team with the height and strength you require and we’ll get it for you! We offer collapsible stackable temporary fencing unlike any other. Standard sizes available 10ft sections, as well as specifications for whatever your job site, parking lot, seasonal greenhouse. We can provide whatever you require in temporary fencing! Our pets are our pride and joy! At New Trend Fencing, we build our own dog kennels in-house where we can customize the colour, size, and height. 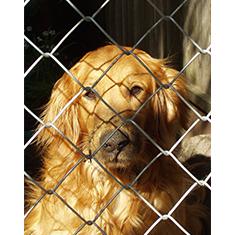 Built with top of the line thick galvanized wire, our kennels are impenetrable to chewing and biting. The bottom interior of the kennel will keep your animal comfortable, but are built using a rail to prevent digging and clawing through. Send us in dimensions and we will quote you for free. Outdoor festivals are quickly becoming a huge part of the North American scene. 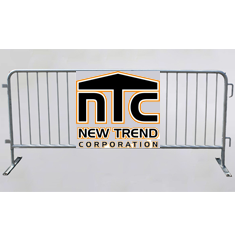 New Trend Fencing provides temporary and permanent barriers to hold back the rowdiest of crowds. 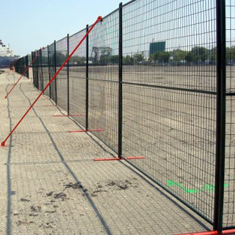 Our fencing is great for organizing lines, street events, bike racks. Our fencing is made in-house, where we can personalize and design to your specifications, to ensure that your branding is seen while keeping the crowd controlled. A chainlink privacy screen is a cheap and effective way for peering eyes. Imagine your logo or branding messaging coated on the virtually indestructible mesh. Our chainlink privacy screens come in any size, a variety of colours and opacity options. You can literally print anything on any size you want with our mesh.